The higher levels of heat-trapping gases from burning fossil fuels are one feature of what many call the Anthropocene, a new geological era dominated by humans. Yet regulatory approaches to managing carbon in the Earth system are doomed to fail. This is because the rise of carbon dioxide levels – what I call the CO2 Catastrophe – is taking place at the scale of the Earth system itself. Humans are inside of that system, CO2 emissions are coupled to energy use, and increasing energy use is central to economic advancement. I have become convinced that it is simply not possible to manage energy usage from the scale of households to that of the planet itself using regulatory methods. This became clear to me one afternoon as I once again stared at the Keeling curve, a graph that has plotted the concentration of CO2 in the atmosphere since 1958. Its unrelenting climb baffled me. There is absolutely no evidence of a reversal in CO2 concentrations from existing regulatory programs, including the United Nations’ Kyoto process, the implementation of the European Trading System or the Regional Greenhouse Gas Initiative (RGGI) in Northeast US states. Hence, there is no evidence of human intentionality in the primary record of the CO2 state on Earth. What does this say about our humans and CO2? Since 1958, the Keeling Curve has plotted the concentration of CO2 in the atmosphere from Hawaii. 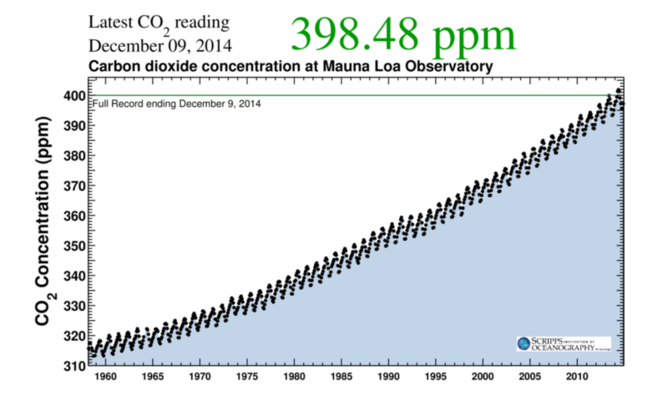 On the other hand, what if the Keeling curve is a record of human intentionality in the aggregate? In this frame, the evolution of atmospheric CO2 reflects the aggregate of human will: in the whole and in some sense, humans want CO2 to increase in the atmosphere. If that is the case, then we need to rethink how we approach how society can limit the rise of CO2 and the related changes throughout the Earth system. The CO2 Catastrophe is not the first atmospheric composition catastrophe. 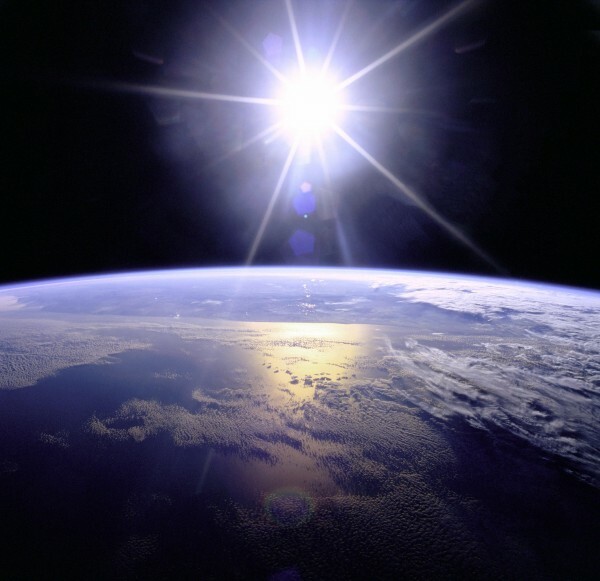 The Oxygen Catastrophe at the end of the Proterozoic was brought on when cyanobacteria exhausted the oxygen-buffering capacity of the Earth system and the waste from their growth shifted Earth’s atmosphere from an anoxic state into one where free oxygen was prevalent. In so doing, they brought on a major extinction and changed the trajectory of Earth’s evolution. In the same sense that I suggest humans want to change levels of atmospheric CO2, one could argue that cyanobacteria wanted to change levels of atmospheric oxygen. Humans are in charge. 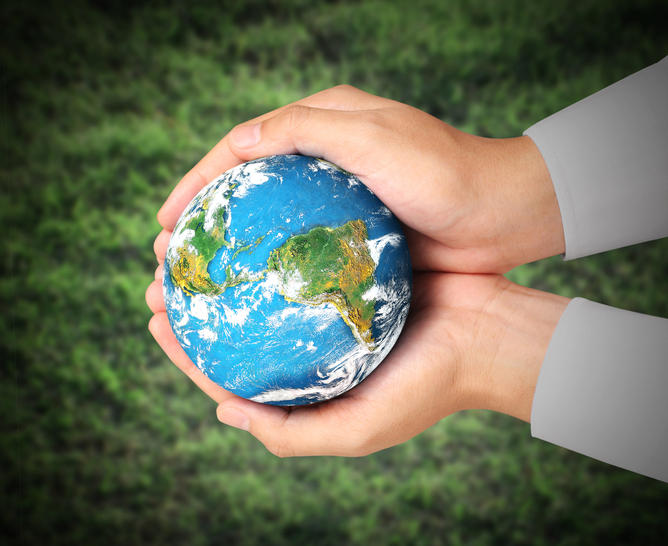 How best to we manage the Earth’s natural systems? The problem with this is that it would be really tough to attribute intentionality to cyanobacteria in the same way one attributes it to humans. With this in mind, we can now see the CO2 Catastrophe not as an intentional act but as an emergent property of the current state of the Earth system. If this is the case, then we are looking under the street light in our current efforts to control CO2 – that is, we are looking for answers in the wrong place. Rather than attempting to manage carbon through brute force at scales never achieved (managing carbon is completely different from managing ozone-destroying substances), we need to shift our focus to the system itself. In particular, we need to effect a system change that is comparable to the change brought on by improvements in the steam engine and the associated business models. The core of that change is that it shifted energy-expenditure limits on Earth from those dictated by the metabolic process of animals to those dictated by human capacity to harness energy released from breaking the molecular bonds in fossil fuels. A corollary to that change is that the energy system that evolved has CO2 as a waste product. We need to shift the Earth system into a state in which human development is decoupled from CO2 emissions. The change we need will not simply be a technology; it will be a fundamental shift in how we think about, deploy and manage energy on the scale of the planet. Just as milk is reliable, safe, and reasonably cheap in New York City, a new energy infrastructure will emerge in the context of markets and human intentionality at the individual and small group scale. The daunting element here is that we need something, but we do not know what it is. But I cannot imagine it being planned in detail in a top-down fashion. All of this calls for a policy framework that focuses more on innovation and social processes surrounding change than on regulation of carbon itself. Regulatory and policy frameworks are going to be very important, but they need to shift from direct emphasis on carbon to emphasis on system change. We need something that is highly disruptive and that will allow the poorest of Earth’s inhabitants to improve their quality of life, because as they improve their quality of life they will consume markedly more energy. Rooftop solar may be part of that, but in order to address the energy challenges in the poorest parts of our planet, we will need to invent new economic and infrastructural models to support deployment in those parts of the world. 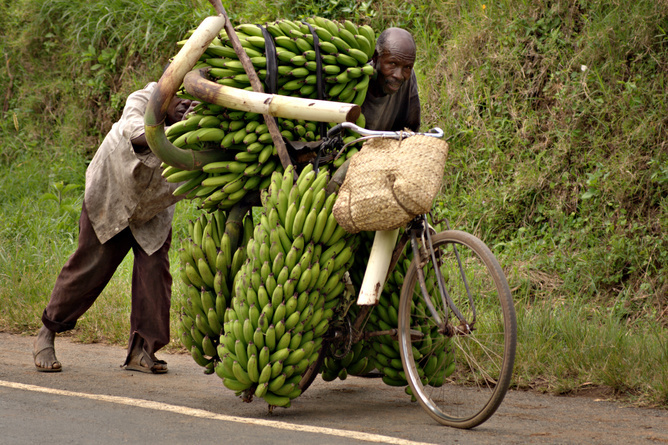 Muscles are still the limiting factor of energy expenditure in many parts of the world. We have reached a point where humans are dominant. Up to now we have crashed around with little attention to the fact that we are pushing up against the buffering capacity of our planet; but we differ from cyanobacteria in that we can imagine the future. Our challenge now is to recognize that as much as we enjoy the illusion of command and control, we are inside a very complex system that will respond in unforeseen ways. We need to shift our approach from reductionist management of our impact inside of that system to a stance that recognizes the need to change the system itself.